Our Fathers Day gifts came out perfect! The boys enjoyed making his gifts, anything that has to do with paint they are all over it. It took a few tries but we finally got it. I feel like they intentionally smeared their handprints just to do it again haha! We always have lots of fun playing with paint. This entry was posted in Arts and Crafts and tagged Best Dad, Boys, Fathers Day, Hand Prints, Role Model. I have been looking for something other than Legos for Charlie, my oldest son, to bring out his creative side. We’ve tried Legos and it doesn’t seem to spark his interest, but that might be because his younger brother knocks them down as soon as he starts to build something. I’ve noticed he has taken interest in magnets. So, when I saw these, I said we have to have them! These magnetic blocks are plastic, non-toxic and if they are left on the ground and stepped on I won’t be in pain for the next 15 minutes. That was a huge plus for me, I step on at least two toys a day and it so painful. The age range is 3+ so I knew they would be perfect for Charlie! I talked to Charlie about this order and explained to him what all you can do with these magnets, he was very excited for this order to arrive. He had us check the mail every day hoping they would come in, thankfully the shipping was very fast! When they arrived, they were in a nice teal box neatly organize with an instruction book with different ideas on how to build things. It also came with a red velvet storage bag with a drawstring. I love the bag because when the boys are done playing they can pack them up and they are ready to grab and go if we heading to town that day or just dump them out and start playing again. These MEIGO Magnetic Blocks are the best, we can do so much with them! We received the 30 piece set, that comes with squares and triangles. I love that they come in many colors to help with color recognition, they are thin and easy to hold on to. They have a very strong magnetic hold, which helps when your building your models. The instruction book has so many ideas on things to make, this not only helps children build their shapes but also shows them how to follow directions. Really great quality for an affordable price. The boys never get bored with these magnetic blocks! I know your kids will love these as much as mine do! I would love for you to surprise them with a magnetic set of their own and let their creative side come out. Go to http://www.amazon.com/gp/product/B077ZQ6H6W and enter this code”KBH6GXD6” at checkout to receive your 10% off coupon! This entry was posted in Kids Toys and tagged Boys, Fun, Magnets, Strong. My boys love to paint and do anything that involves getting messy. So I thought it was so awesome when I came across this recipe to make homemade paint. How awesome it that? I’ll never have to buy kids pain again! I can also make whatever color I want when I want. This paint dries so fast I don’t have to worry about the kids coming back to touch it later and getting dirty again. Squish them up until it is all mixed pretty good. We had to add a little more water because ours came out a little too thick. We put the paint into Ziplock bags, it made it a lot easier for the kids. I cut the corners off the ziplock bags and let the kids squeeze the paint mixture into your squeeze bottle. The boys had so much fun making their own paint! This entry was posted in Arts and Crafts and tagged Boys, Home made, Paint. I’ve been looking around for more non-candy ideas to put in my boy’s Easter basket! 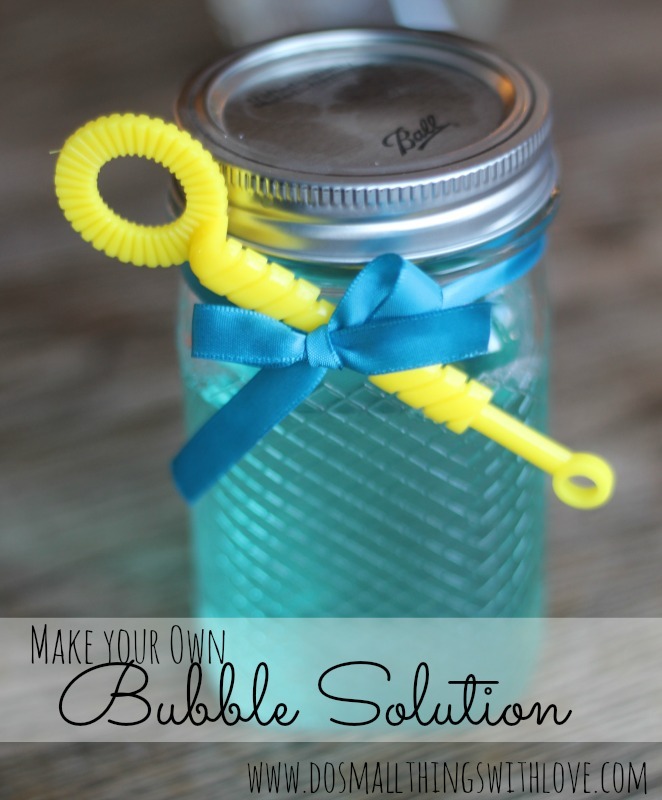 Here is another awesome idea that they would love and use every day, homemade bubbles. Not only will I use this for Easter but probably once a week, my boys love playing with bubbles. Charlie likes to see how many bubbles he can make come out at once, and he likes to catch two bubbles and make the connect. Simply mix the ingredients together until the sugar is totally dissolved. Then, after done playing, store in an air-tight container. The next recipe requires an ingredient that is a bit more “rare”, but the bubbles from this solution are a bit better, but, like I said, they weren’t terrible with the first recipe. Once again, simply mix the ingredients together until all of the sugar is completely dissolved. Then, once you are done using it, store it in an air-tight container. This entry was posted in Arts and Crafts, Easter and tagged Boys, Bubbles, Easter, Kids.